I need the medications they prescribe. They still call what they do a "practice." I wish they'd get it right. I wish I didn't need them more. When I'm asked a question, I give an answer. It's just the way I am. Good, bad or indifferent; you're going to get an answer. I didn't say you'd like it but, if asked, you will get my opinion. Why do doctors ask you a question and then totally blow off your answers and/or your concerns? I don't wish illness on anyone but, for just one day, I wish they could feel what I feel. I'll bet they wouldn't be so dismissive then. I really dislike spending one hundred dollars for ten minutes time. I fill out a little form about the pain levels and then I'm shown into a little room. A few minutes later I'm answering a couple of questions and then given my prescriptions. I'm shown out the door until next month. Where are the doctors that treat the whole person? Where are the doctors that understand what pain does to the body and mind when pain occurs on a daily basis? I have to investigate other avenues myself. The use of aromatherapy, essential oils is something that is totally beyond them despite evidence to the contrary. I do need medications; I understand that, but why not use them in conjunction with other alternative forms of medicine. Why not use Guided Imagery, forms of yoga and Tai Chi and meditation? What about light therapy and water therapy? 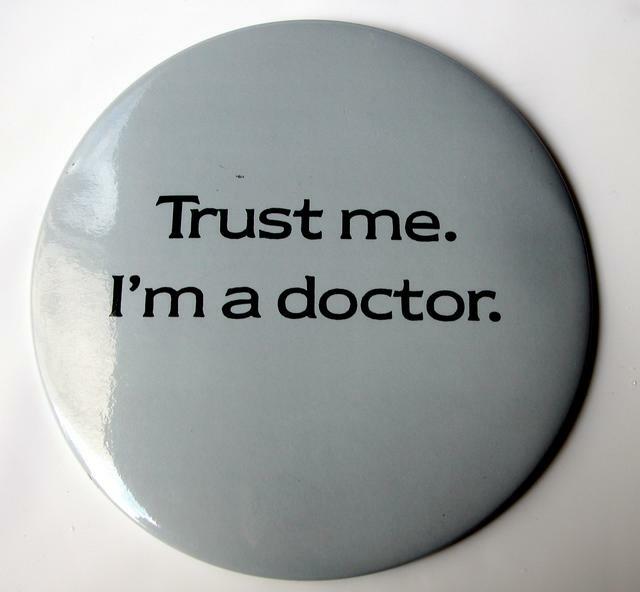 Trust doesn't come easy to me and my distrust of the medical profession is almost equal to that of attorney's. It just doesn't make sense to me. Is it a time thing? They just want to cram us in like cattle. It seems like it is a whole lot easier to throw us some prescriptions rather than try to treat the whole person. They have no idea what they're prescribing and if there are any interactions with other medications or our diet. For many of the people that suffer with an autoimmune disease or any disease that has chronic pain and fatigue as a marker, the day that an actual diagnosis is made, comes after years of disappointment and defeat. Most of us have had doctors who have made us feel like we're crazy or that our symptoms are just not that bad. Is it any wonder that there is a lack of trust in the medical community? Only a handful of doctors are even researching the causes of Fibromyalgia and Chronic Fatigue. I can only pray that one day a cure is found. It takes a lot of funds and even then it's tough. Fibromyalgia and Chronic Fatigue are kind of "off the grid." And it isn't real good. But I need to keep my mouth shut because I need them. I know what you mean, I've been there. Updating the records, waiting forever in the reception room, then again in a tiny treatment room. Then finally the doctor walks in, barely looking at you, flipping through your chart. He spends 5 minutes with you & just asks the questions with not seeming at all interested in the answer. Then he writes on his prescription pad, leaves the room & off you go to pay (if they didn't collect first) & you make your next appointment for 3 months later. Like I said, I've been there but I'm not there anymore. I went from doctor to doctor & finally found one that treats "most" of me as a whole person. I feel she wants to know how I feel, how I answer her questions & I feel that maybe she really does care. She even takes my insurance so I'm not spending a $100.00 (plus) per appt. She informs me about diet & exercise, tai chi & yoga & many other alternative ways in which to live my daily life, hoping that I will find a balance between medication & other alternative means/resources. If you are not being treated & cared for, move on. You deserve better, I did. Linda. <3. You said it better than I ever could. I think they are too overwhelmed and busy. It is so frustrating. And I have this gut feeling that we are moving away from the old days of doctors listening to patients to doctors telling patients what the will or won't do. Not good.